Awakened Muse Productions is thrilled to present: The Craft Workshop, a series of empowering workshops in beginner’s photography and filmmaking to elevate their craft and develop their brand. 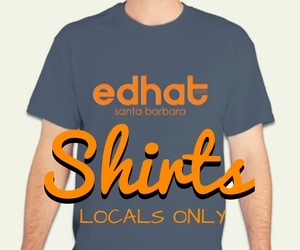 Taught by a team of local creative professionals, you will learn to master technical expertise, creativity, composition skills and social media marketing strategies. The workshop will take place from 9am - 5pm on April 27th and 28th on the back patio of Sama Sama restaurant. 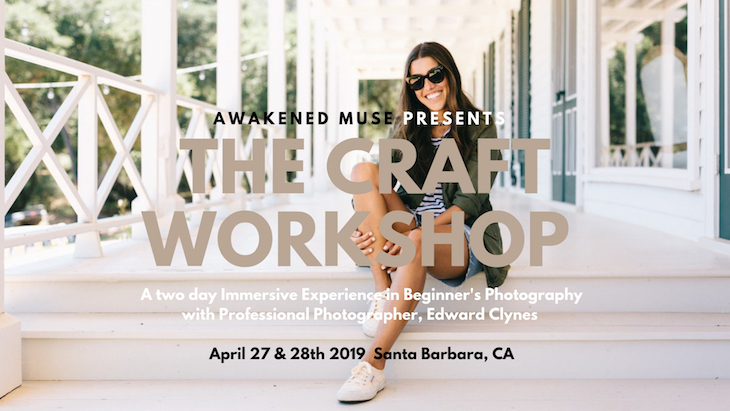 Founder and CEO, Tamar Sasson is pleased to bring this workshop to Santa Barbara as a platform in beginner’s photography and filmmaking to connect with industry leaders in the creative community. Her passion for education and the arts sparked the creation of The Craft Workshop after 11 years of producing experience in the film industry delivering first-rate, successful content for several leading brands including Google, Neutrogena, and Biore. Awakened Muse Productions is a female-led company that is dedicated to helping innovative brands reach global impact by utilizing powerful cinematic storytelling and marketing strategies with proven results. There is nothing more important than finding the soul of a brand or story and bringing that magic to life. Our goal is to empower creatives and facilitate their next level of creative ascension so they can successfully thrive in their various industries. To learn more, visit https://awakenedmuse.com/events.